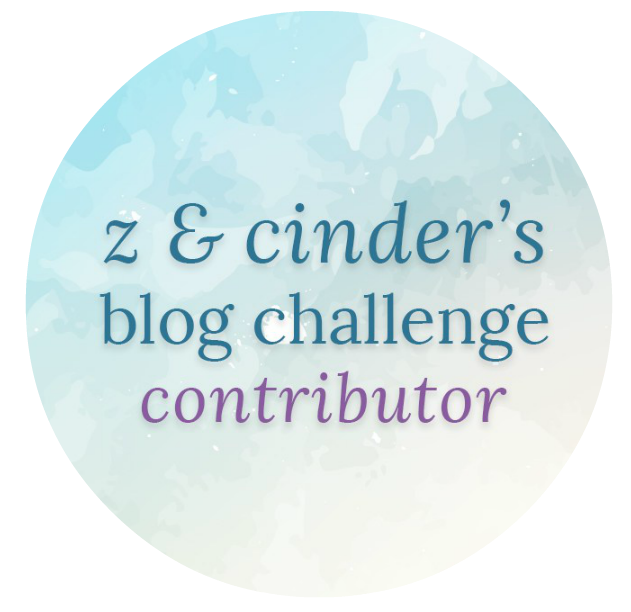 There is a new topic up on Z & Cinder’s Blog Challenge! Which zone or area in WoW reminds you of your home? 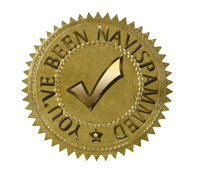 I suggested this topic and I’ve written about it before, but I thought it would be fun to do it again because there are so many new bloggers out there who could take on the challenge. So I’m excited to see what everyone comes up with. 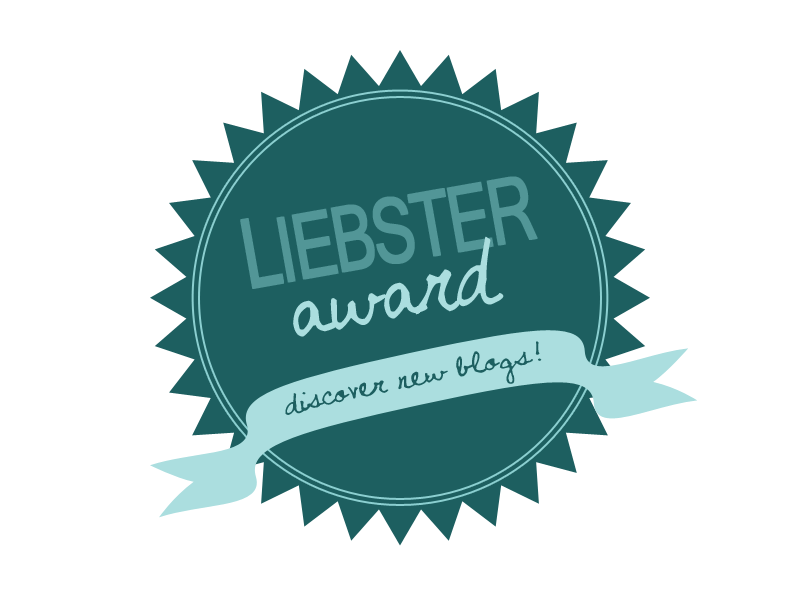 Do you want to join or learn more about the blog challenges? You can find info about it here. 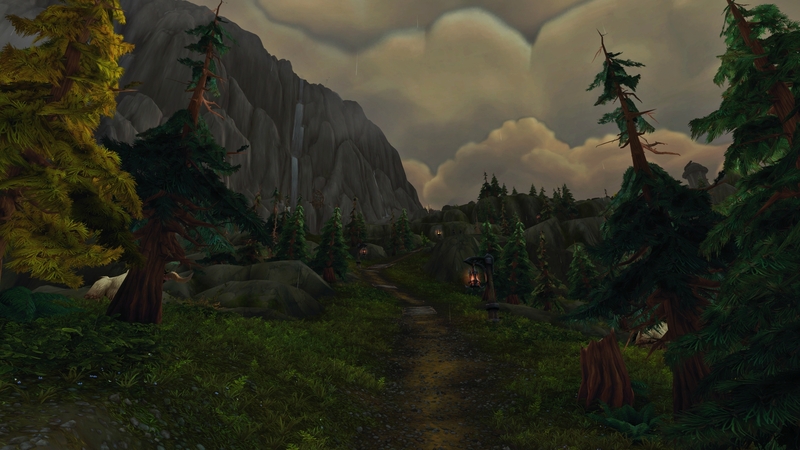 There are many beautiful zones and areas in WoW, but there have always been some that have felt special to me because they remind me of where I’m from. 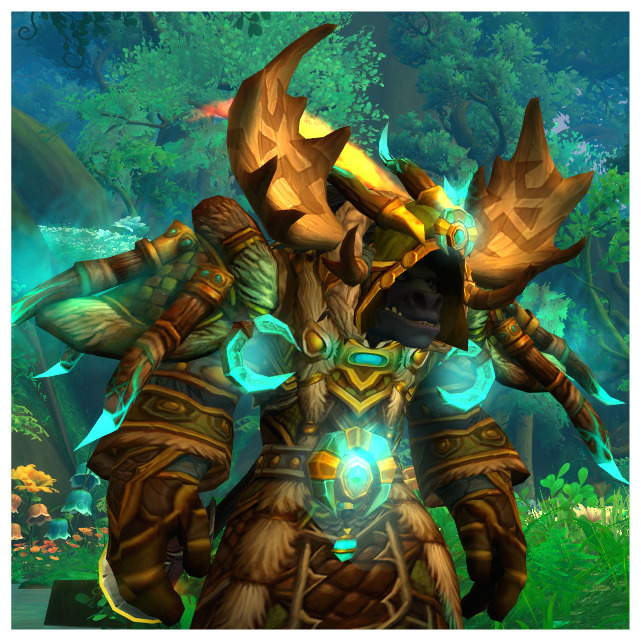 In my last post about this topic here I mentioned Storm Peaks, Howling Fjords, Grizzly Hills and Kun-Lai Summit. But now with the Broken Isles I have two new zones: Highmountain and Stormheim which both remind me a lot of Bergen and Norway. Stormheim reminds me a lot of Norway because of the vrykuls, their names, houses, ships which are inspired by vikings. 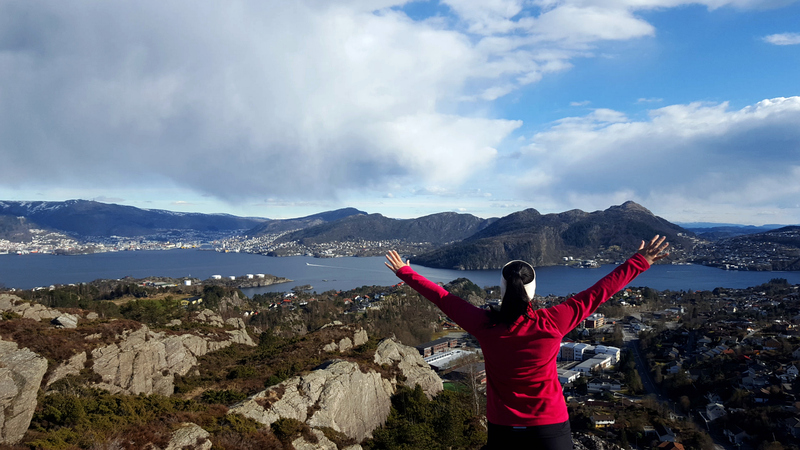 The nature with mountains, the sea that kind of looks like a fjord, pine trees and the forest with orange and yellow trees. Even the name Stormheim sounds Norwegian because storm is the same in Norwegian and heim means home. Other names that are inspired by Norwegian is Haustvald which means fall violence, and Hafr Fjall, hafr is a name and fjall (fjell) is mountain. So I always think of Norway when I fly around in Stormheim. 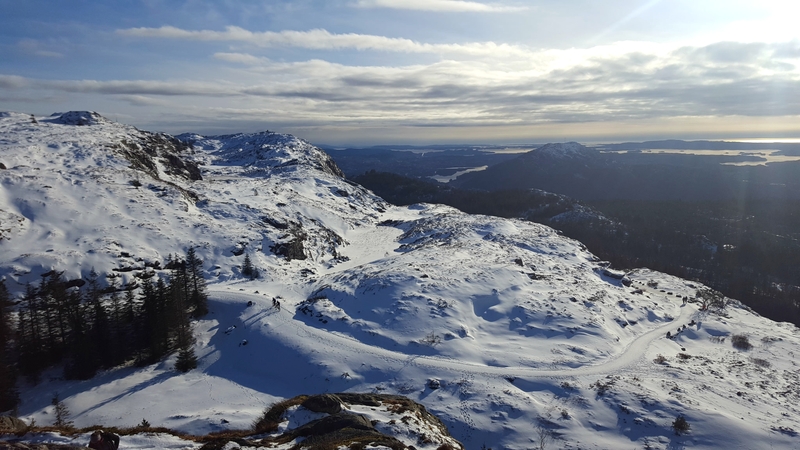 This picture shows parts of the trail up to the mountain Rundemanen (568 m) in Bergen. 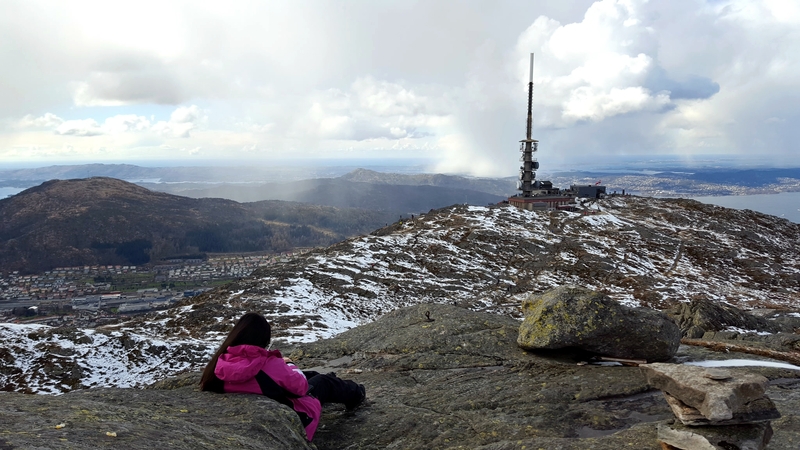 1 km of the trail goes along the side of the mountain, where the mountain goes straight down on one side. You can’t really see it in this picture. But the trail reminds me of the narrow hiking trails up the mountains in Highmountain and Stormheim. If you haven’t tried them yet, then you should get out your ground mount or just run without a mount because the trails are really narrow. 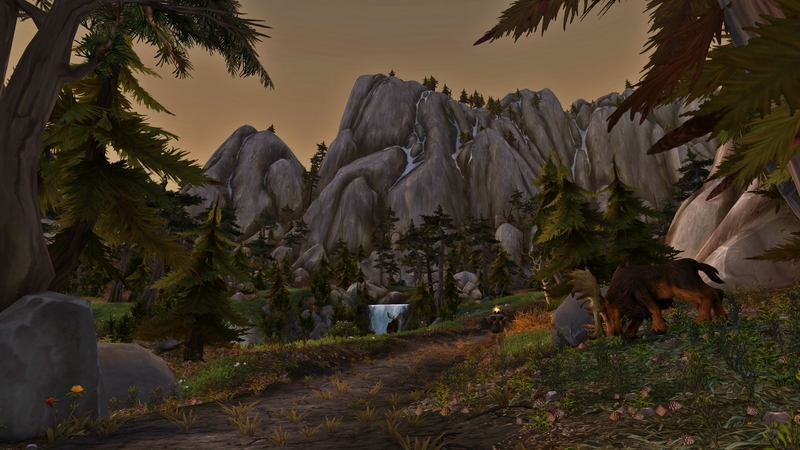 Highmountain has pine trees, waterfalls, moose and tall wind-blown snowcapped mountains which we also got here. 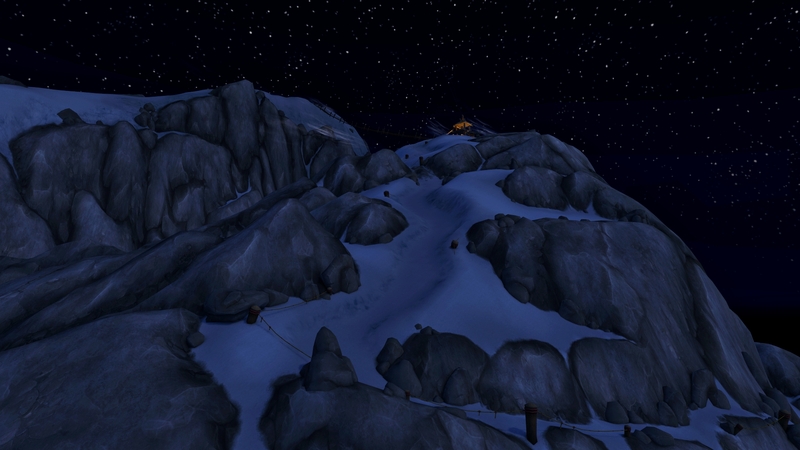 Bergen is surrounded by mountains, but none as tall as Highmountain Summit. 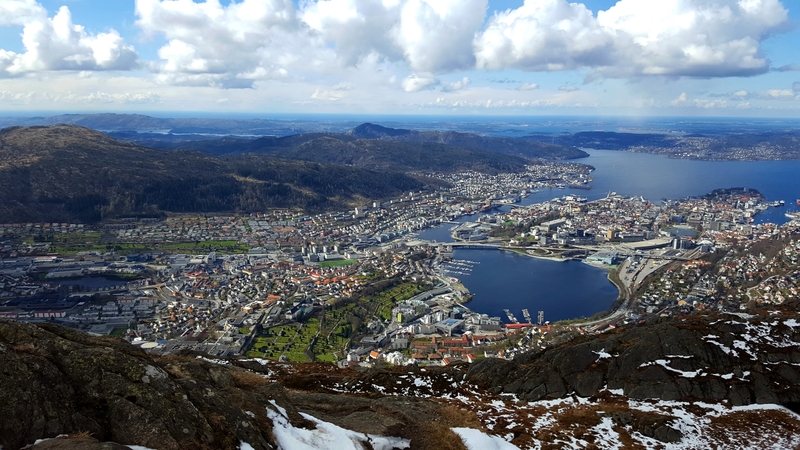 The tallest mountain in Bergen is Ulriken at 643 m. Here is a photo of Ulriken and the view of the city from Ulriken. Every time I see a mountain either it be in real life or in-game I always think “I have to get up there”. If it’s in-game then I have to walk up if it’s possible, not use a flying mount. Sometimes I wish I could fly up on a mountain in real life, but I don’t have a helicopter, wings or even a mount so I have to use my legs. I haven’t been to any very tall mountains but there are so many great hiking trails and mountains around here so I doubt I’ll ever get tired of living here. 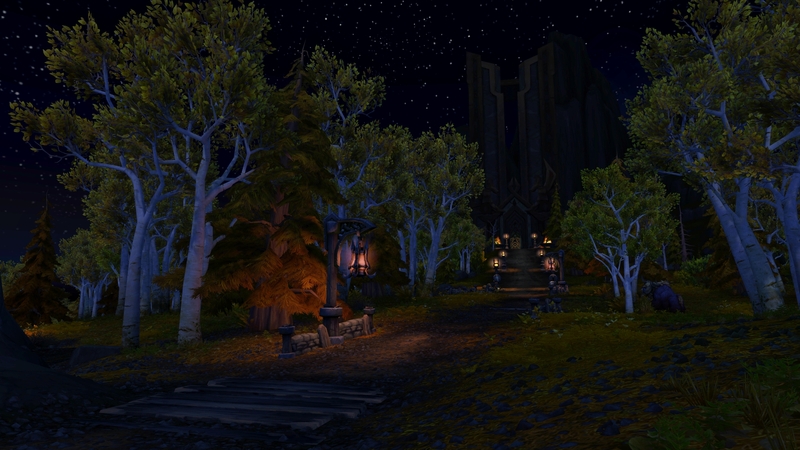 So, which zone or area in WoW reminds you of your home?